The GoGeomatics Social will be held on Friday, February 22 at 6:00pm. More details coming soon. 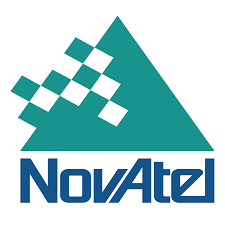 The NovAtel Site Visit will be held on Sunday, February 24 at 9:00am. More details coming soon. The NGC Conference will be held on Sunday, February 24 at 1:00pm. More details coming soon. The Awards Gala will be held on Sunday, February 24; doors opening at 7:00pm. More details coming soon. The Geomatics Exposition will be held on Monday, February 25 at 8:00am. More details coming soon. Mr. Maddox is a Surveying Engineer (University of Calgary, class of ’96) who has over 20 years of experience transforming geospatial information into solutions. Early in his career, he conducted geophysical surveys around the world to support oil and gas exploration. In 2000, he joined Intermap Technologies to support global mapping operations, and over the next six years he helped build Intermap’s archive of global geospatial datasets. In 2006, he moved to Intermap’s Denver headquarters to manage all mapping operations and, eventually, Denver-based production. For the past six years, Mr. Maddox has been the product manager for InsitePro®, Intermap’s flood risk assessment software that has made flood insurance possible for many homeowners in previously under-insured regions of the US and Canada. Today, as EVP of Commercial Solutions, Ivan is bringing together proprietary geospatial data and cutting-edge analytics to deliver effective and innovative software into new markets. More events and speakers to be announced soon.